Our storefront in the Stone Ridge Towne Centre. Welcome to the official blog of Stone Ridge Wine & Spirits! Here we’ll be posting weekly wine reviews, along with news, tips, and features. Since this is our inaugural post, we’d like to take a minute to tell you a bit about ourselves. 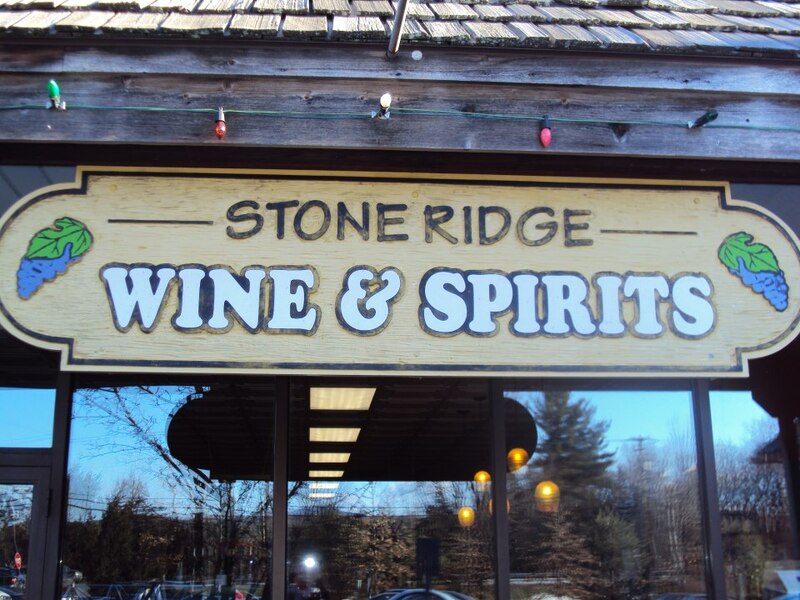 Located in the heart of Stone Ridge, NY, Stone Ridge Wine & Spirits has retailed fine wines and liquors for nearly two decades. We feature wines from all across the globe, including France, Spain, Italy, Portugal, and the USA, as well as Chile, Argentina, Australia, New Zealand, South Africa, and more, ranging in price from affordable to extravagant. We also have an impressive selection of spirits, many of which are distilled right here in the Hudson Valley. If you’re looking for organic products, look no further – we carry many organic wines, as well as some organic vodka, gin, and tequila. Planning an event? Call us ahead of time and we’ll make sure you’re stocked with whatever you need. We offer excellent discounts for cases and bulk purchases. Whether you’re an expert or a newcomer, we invite you to come by and visit our store. Our friendly and knowledgeable staff would be happy to answer any questions you might have, or just chat about the merits of corks vs. screw tops, French vs. American oak, etc. Thanks for visiting our blog – check out our Facebook and Twitter pages for daily updates!